It’s so easy to make Strawberry Ice Cream with just a few cans of coconut milk and frozen strawberries. I posted this recipe last year when I first got my ice cream maker. This year, I wanted to make a more portable version that would be great for pot lucks and summer gatherings…so I turned into a pie! 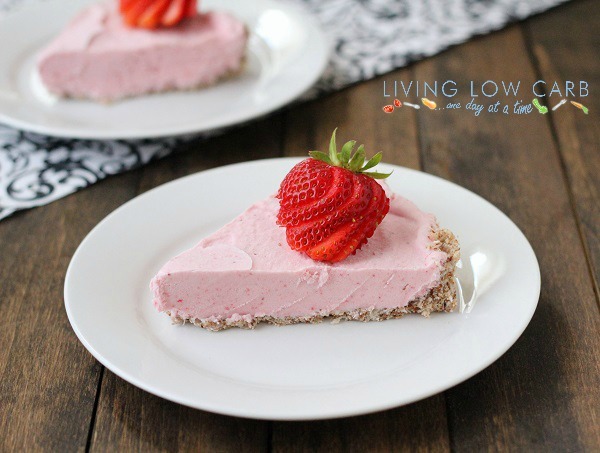 I made the pie crust on this Strawberry Ice Cream Pie as a no-bake version, but if you are feeling brave and don’t mind turning on your oven the crust would be even better baked to a golden brown. You’ll just want to make sure you cool the crust completely before adding the ice cream. Combine all of the ingredients except the coconut oil. Add the coconut oil and mix to combine. Press the crust mixture into the bottom of a 8" pie plate. Looking for more grain free desserts? 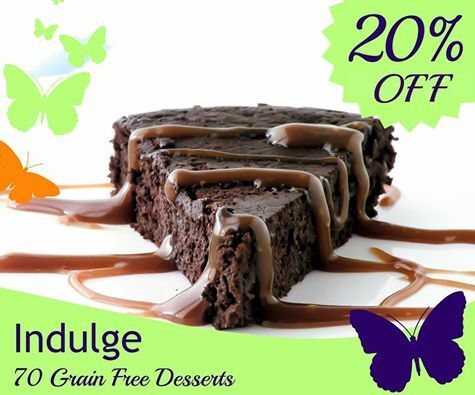 Check out this great e-book Indulge: 70 Grain Free Desserts which is 20% off right now.